Get rid of your decor's monotony by bringing in this beguiling water fountain. Made from good quality material, it will last for years. 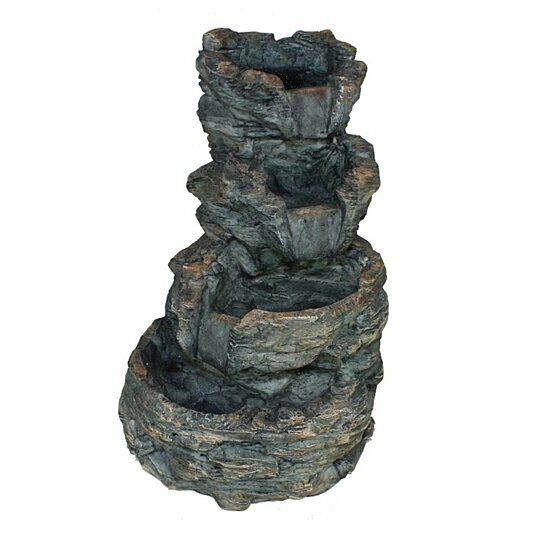 This fountain features cascaded rocks, in gray and black finish it radiates a natural aura. It is made in such a way that it will blend seamlessly with any interior. You can use it in your garden or any place of your choice and it will impress every onlooker with its unique authentic charm. This product can expose you to chemicals including BPA, which is known to the State of California to cause cancer or birth defects or other reproductive harm. For more information, go to www.P65Warnings.ca.gov.